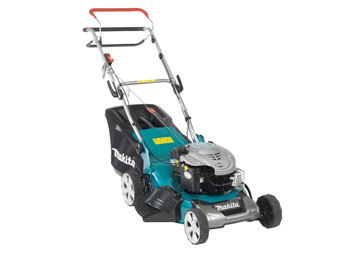 Why not select from the wide range of Lawnmowers we have available? Cylinder lawnmowers use a range of blades at the front that rotate against a fixed blade on the bottom. These type of lawnmowers are perfect for ornamental gardens and level lawns. Rotary lawnmowers are highly versatile and are able to deal with a variety of lawns, including sloping banks and rougher areas of grass. They are also perfect for a family-sized garden, or if you don't want to cut the grass regularly. Hover lawnmowers cut just above the grass and can be extremely light and easy to push. They are perfect if your garden features borders, edges and flowerbeds. Either using petrol or lithium ion batteries, cordless lawnmowers can be ideal for portability and ease of use.